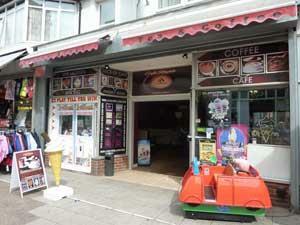 Cafe Royale in Great Yarmouth is a charming cafe serving a selection of cakes, ice creams and snacks. Adult slot machine casino at rear. On arrival in Great Yarmouth follow the signs for either the town centre or seafront as Regent Road runs between the both. Cafe Royale is situated to towards the seafront end of this pedestrianised road.